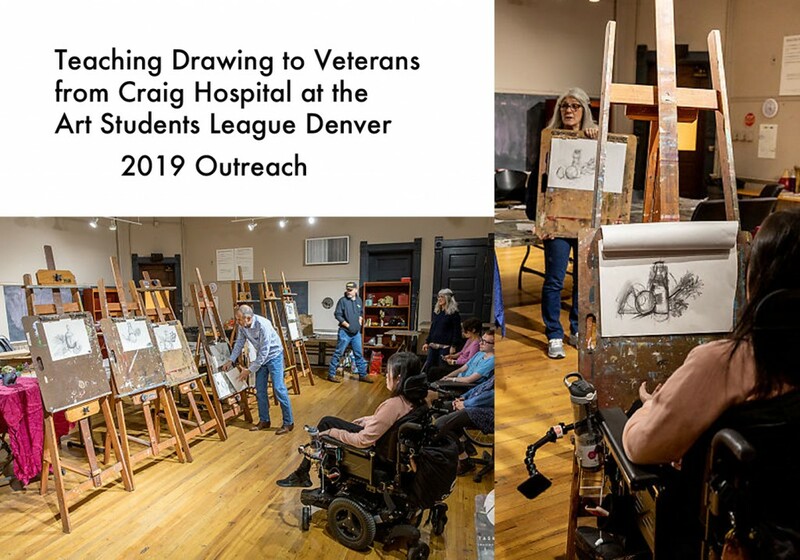 Through the Art Students League of Denver I was offered an opportunity to teach a drawing class to OTF Veterans from Craig Hospital. It was a fun and empowering event. Drawing provides a release to remove one self for their surrounding and to fully immerse one’s focus on an innate object to interpret. These few escape moments can be very cathartic. #Untitled Order exhibits again with its haunting narrative. 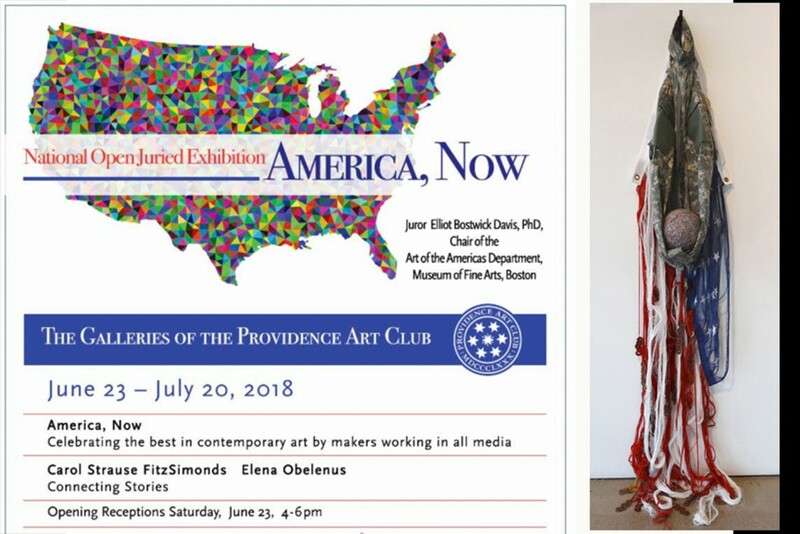 This time in my birth state at the Providence Art Club in Rhode Island. This artwork began with the concern for human sacrifice and the struggle with convoluted war funding. In my studio I had been shredding canvases for other themed work and I decided to move this practice over to working out this dilemma. 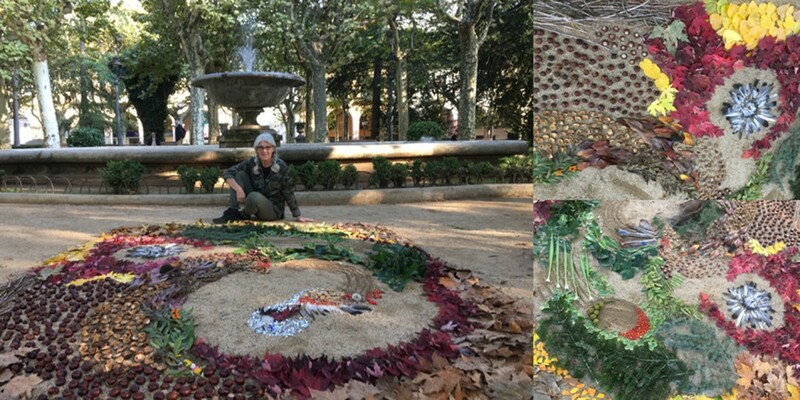 It took years to remove the threads in this piece, representing the endurance and willingness of mankind to stand for his country as the country weeps for its losses. 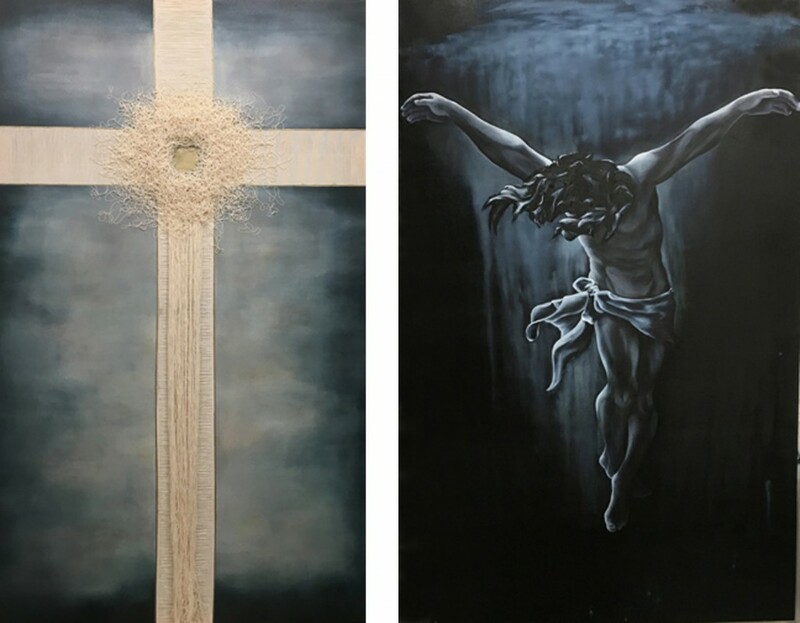 This work has exhibited with the US Military repeatedly with works of art expressing the deep emotions related to war and a soldier’s journey through it. 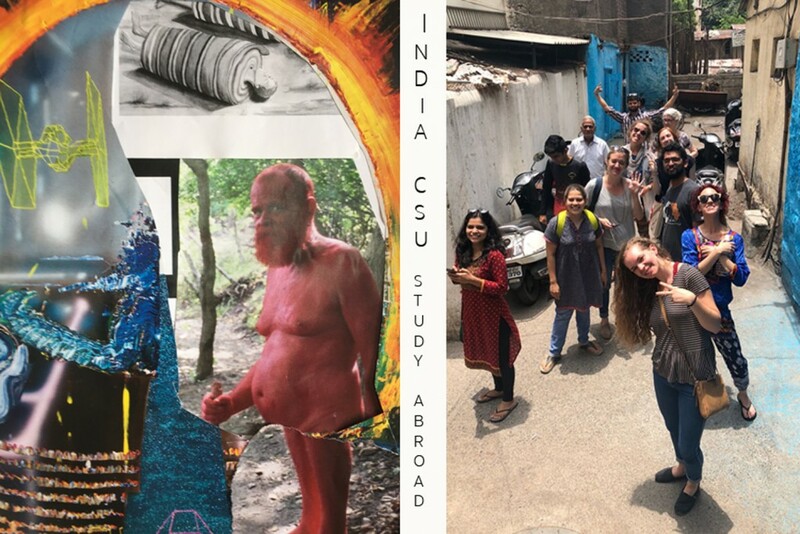 I took several Colorado State University LEAP Art Entrepreneur students to India for an Arts Collaboration Project with local NGOs for social advocacy addressing equality and inclusiveness. It was an amazing team of arts leaders! 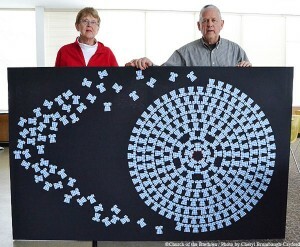 See more pics in Community Art section of Portfolio. Visit Neem Foundation to see support efforts. Bring Back Our Girls: The story of artist Sandra Ceas’ rendition of the Chibok abductions – Visit link below to review the sale and presentation of this work of art. Constructed from all indigenous materials available in the park. 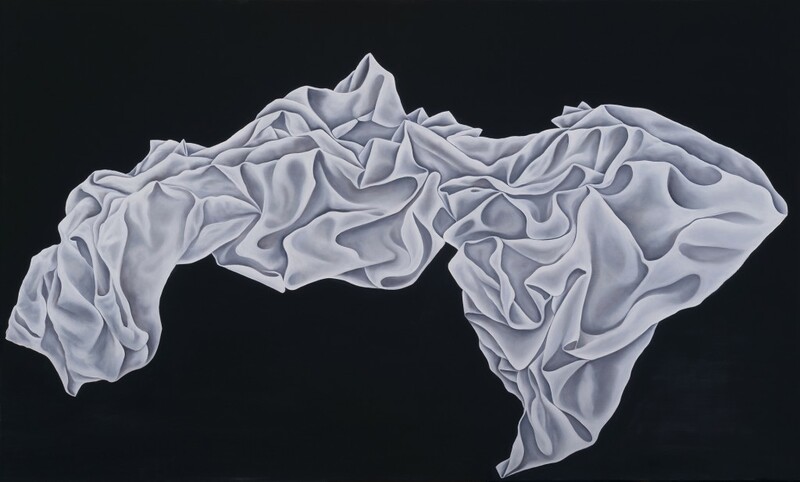 New “White on White” art exhibiting across the states at various galleries in 2017. 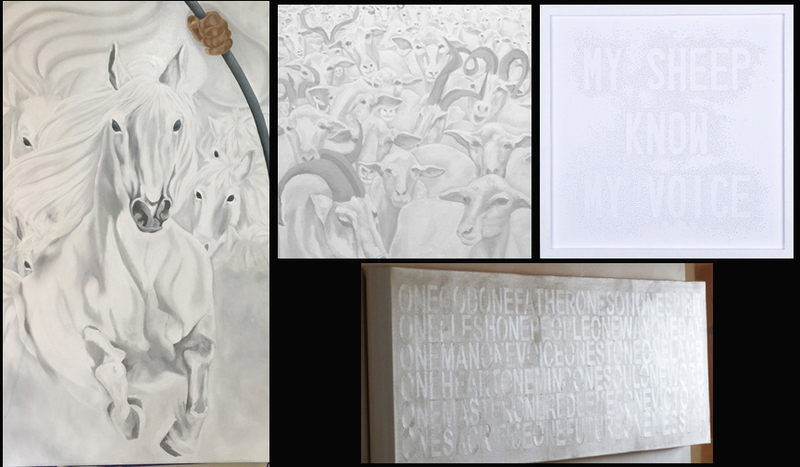 WHITE HORSE and TEXT ART pieces ARE SOLD! 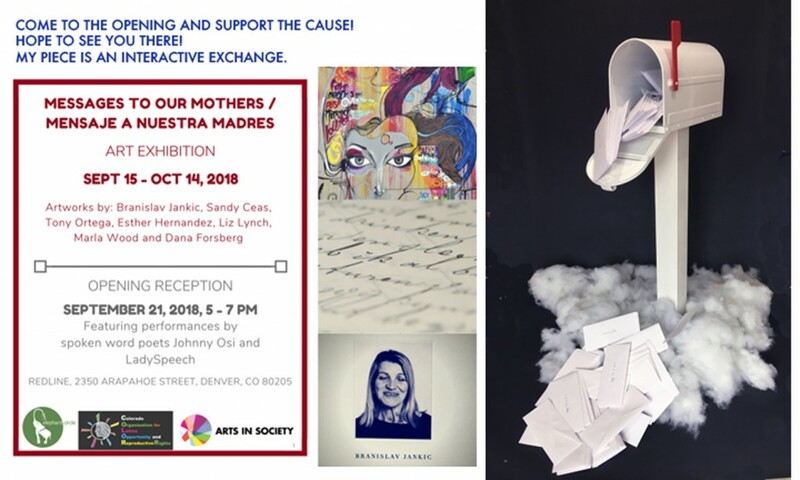 Exhibited at Artwork Network Gallery on Santa Fe Drive, Denver and the Denver State Capital. Presently being proposed to exhibit at the new Palestine Museum in Woodbridge, Connecticut. Palingenesia is a theory of rebirth or recreation used in various contexts in philosophy, theology, politics and biology. I chose to use this concept in my art to illustrate the condition of surpassed hope that I witnessed during two visits to Palestine. The stratified conditions of living, due to the occupation of Israel on Palestinian land, has created an injustice and an elusive hope for peace and sustainability in the region. 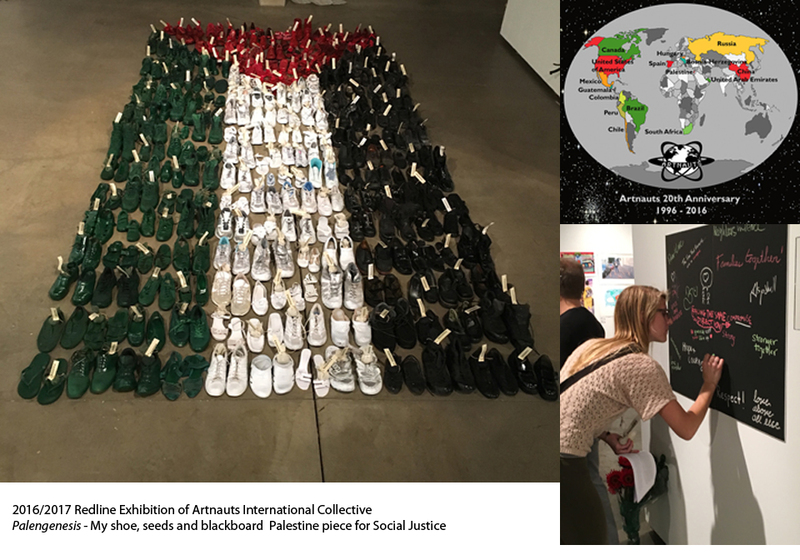 The 194 pairs of shoes in this piece represent the people of the land, in all its diversity. The number 194 reflects the non-binding, ineffective 1948 UN Resolution 194 stating, “refugees wishing to return to their homes and live at peace with their neighbours should be permitted to do so at the earliest practicable date…” The olive tree seedlings in each shoe embodies hope in its genesis state. Cultivating an olive tree seed takes much time, devotion and persistence, as does the rebirth or re-creation of a nation. The olive tree is sacred to the inhabitants of Palestine. It is a hardy resistant plant with a robust root system capable of regenerating itself even when destroyed. The olive branch is a symbol of peace, power, fertility and purity. I consider myself an eclectic artist without genre specificity who surveys what is present and what is absent to discover the underlying spiritual force of humanity that lies like a specter between the two states of being.